Hakai Magazine, a publication about coastal science and societies, has a series of short articles based on postage stamps. For example, The Little Post Office That Could tells the story of Herm Island stamps, while Cod Currency explains how salted cod was used as currency in Newfoundland (and, of course, commemorated on a stamp). 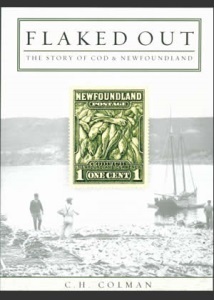 If you want to read more about cod, check out Flaked Out: The Story of Cod and Newfoundland, a children’s book available for borrowing from the APRL and for sale from the APS. 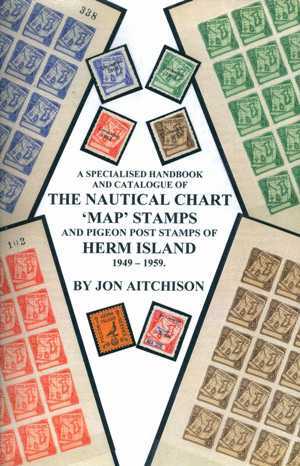 The APRL also recently acquired a catalog of the Herm Island stamps (A Specialised Handbook and Catalogue of the Nautical Chart ‘Map’ Stamps and Pigeon Post Stamps of Herm Island 1949-1959).